Over the past few years the use of Brettanomyces and other non-traditional organisms during fermentation has become all the rage. At this year's Great American Beer Festival I pleasantly experienced few lines - except those lines for the funky and sour beers. They seem to be a magnet for GABF-goers. In this post I will provide some basic background information about "Brett" in beer and use the Anchorage Brewing Company as a vehicle for this discussion. This blog entry was inspired by a 750ml bottle of Anchorage Brewing Company's Galaxy White IPA. 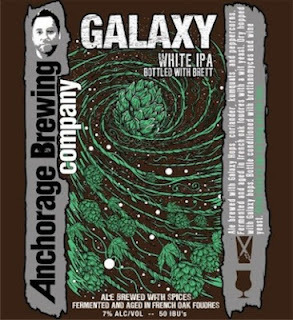 Galaxy White transported me back to last summer's trip to Alaska. Fellow Beerdrinker of the Year, Bill Howell, tipped me off to Anchorage Brewing before our visit. There are a couple of attributes that make this brewery quite unique. This relatively new brewery is run by former Midnight Sun head brewer Gabe Fletcher. The small "brewery" is actually in the basement of yet another brewery - the Sleeping Lady. Gabe does not have his own Sudhaus, rather he rents time on Sleeping Lady's upstairs. Technically this is not contract brewing. Gabe does all of the work himself, with his ingredients, just on someone else's equipment. This lets him focus on what really makes his beers unique - experimenting with wild fermentation and different woods. Chardonnay barrels, Cabernet, Pinot Noir, etc. Most of his beers are triple fermented. Primary fermentation is carried out in stainless steel, which is followed by a long secondary in French oak dosed with Brettanomyces, and a final fermentation takes place to carbonate the bottle - usually 750ml bombers. All of his beers are fermented at least in part by Brett. What is a "White IPA" you ask? Well, the style has not been defined. Not until now anyway. Galaxy is a marriage of the Belgian Wit (white) style, which is a spiced wheat beer, and an IPA, which is a higher-gravity aggressively hopped beer. As you can imagine the result is quite diverse. In the production of this beer Gabe uses Indian coriander, black peppercorns, Galaxy hops from Australia (hence the name), fresh kumquats from Asia, and ferments the concoction with a Belgian Wit yeast. The beer is further aged in Brett inoculated French oak. Galaxy pours a pale hazy yellow capped by a brilliant, fluffy white head. The aroma is heavy on citrus from the single hop used. Notes of lemon and grapefruit are present. Coriander may also be contributing to a hint of orange. The nose may be subtle, but the flavor is not. In true IPA fashion, there is plenty of citrus and bitterness coupled with a slight sourness. There is a very characteristic pineapple twang that comes from the Brettanomyces. The finish is long with the peppercorns showing up at the very end. Overall Galaxy White IPA is a very complex and impressive beer. Taking a gamble with Brett? Gabe has basically built his brewery around Brett. This "bug" has become quite popular as of late, and all of Anchorage Brewing's beers are at least partially fermented with it. So what is all the fuss about this microorganism? Why are some beer lovers obsessed with it? And exactly what is it? Brettanomyces was discovered in the early 1900s by the Carlsberg brewery in Denmark while investigating spoilage in English Ales. Many people do not realize this, but Brett is a form of yeast. With that said it is a bit different than common/traditional brewing yeasts. Brettanomyces is a non-spore forming genus of yeast, where as Saccharomyces cerevisiae reproduces via budding. (By the way, Saccharo-myces is derived from the Greek "sugar fungus," and Brettano-myces from Greek meaning "British fungus.") The different reproductive cycle influences the growth of Brettanomyces, which is much slower than typical brewer's yeasts. Brewers who work with Brett know this well. Brett character develops over time during long fermentation schedules. Like ordinary yeast Brettanomyces will produce esters and phenols. However, unlike ordinary yeast it is a lactic and acetic acid producer. Brettanomyces occurs naturally living on the skins of fruit. Before the single cell Saccharomyces strains were isolated and understood, most beers brewed probably had some form of Brett character to them. Spread mechanically during harvest, the wind, via insects, or other means, Brett would find its way into fermenting worts. The open and spontaneous fermentation of Belgian Lambic beers is one example of "contamination" where nature has taken its course. Over the years this wild yeast has played a role in both the brewing and wine making industries, which the latter generally considers a spoiling organism and avoids like the plague. Most brewers outside of Belgium typically did also, though now its cult following is leading to a resurgence. Brett has the ability to ferment higher molecular weight sugars and even Dextrins that Saccharomyces are not able to process. Typical yeast feeds on mono and disaccharides with the ability to ferment some trisaccharides. (Lager yeast being the most capable - and are generally a bit more attenuative than ale yeast.) Dextrins, four or more glucose molecules, are not fermentable by normal yeast. These Dextrines add body to beer. Brett slowly works away at these longer chained molecules. 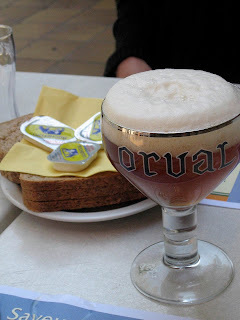 This explains the dryness of Orval. Another distinguishing factor of Brettanomyces is that it produces a thick, snot-like pellicle on the top of the fermenting beer. Belgian brewers sometime talk about their beer "getting sick." This is a result of the Brett fermentation. 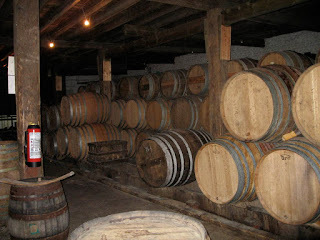 Oak barrels, which cannot be sanitized, are ideal for harboring Brett. So are other porous and difficult to clean surfaces. Belgian Lambic brewers do not disturb the brewery's environment leaving their delicate balance alone. But as an experimenting home brewer, work with caution to ensure there is no cross contamination or Brett contamination in general. Once Brett gets a foothold in a brewery, it can be almost impossible to eradicate. Brettanomyces is not one specific microorganism. Just like yeast there are many different strains of Brett. Many Belgian breweries speak of "house" strains, similar to how old breweries have house strains of yeast. Major yeast suppliers such as Wyeast and White Labs supply different cultures of Brettanomyces as well as some blends that contain Brett as well as bacteria specific to wild beer fermentations such as Flanders Red and Lambics. The suppliers offer good flavor profiles for their strains, though environmental factors can greatly influence the resulting characteristics of the beer, so results may very. But the descriptions provide a good general guideline of what to expect. The wild flavors produced by Brett vary greatly depending on the strains, but here are some of the most common descriptors: sweaty horse blanket ("horsy"), pie cherry, pineapple, mouse urine ("mousy"), smoky, barnyard, antiseptic, cheese... the list goes on. I can detect Brett pretty well, but often have a difficult time articulating the flavor and aroma. Though pie cherry and pineapple are two that really jump out at me in most Brett inoculated beers. Above I mention Lambic breweries and the physical buildings being infected. Years ago in Belgium I toured the Cantillion Lambic brewery. Upon entering the barn-like structure housing the brewery the tangy wild smell was unmistakable. And Cantillion's Gueuze tasted exactly like the building smelled. When Michael Jackson spoke of terrior, this is what he was talking about. The spontaneous fermentation that takes place in that building cannot be reproduced anywhere else in the world. Here is a list of beers typically associated with a Brettanomyces fermentation. Many of the beer styles below include a cocktail of "bugs," such as acid producing bacteria, in addition to Brett. 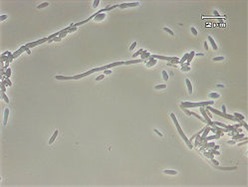 Although there are exceptions of 100% Brettanomyces fermented beers, standard ale yeast (Saccharomyces cerevisiae) typically processes a majority of the fermentables even in wild beers. The other microorganisms add character, and can be overwhelming if left unchecked. If you are not already a Brett-lover, seek out some of these beers and let me know what you think of this super attenuating, acid producing, wild yeast. I would like to make a clarification about Anchorage Brewing Company's fermentation regiment. This update comes from fellow Beerdrinker of the Year and Alaska beer expert Bill Howell. Gabe is now doing his primary fermentations in wooden foudres, rather than stainless. When he started, he was using stainless for the primary, then racking to barrels, but now it's wood all the way. I believe Galaxy doesn't get a secondary treatment; it's fermented in wooden foudres, then bottled with Brett. His other beers go in the barrels for a secondary, but not Galaxy. 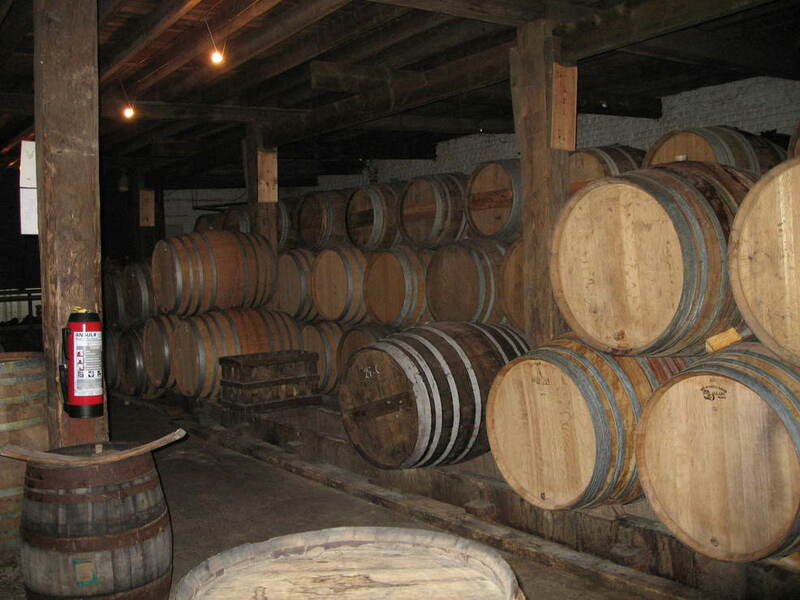 Note that a foudre is a French term for a large barrel. Gabe's are massive French Oak vats that hold around 600 gallons. Thanks for the comment and update Bill!